LANDESK are announcing its acquisition of LetMobile and the introduction of application wrapping technology. With this acquisition LANDESK is moving aggressively to assist enterprise IT and security teams to address modern user work styles by extending security from the mobile device itself to the content and applications. Today’s workers no longer draw a distinction between work and personal computing environments. Professional and personal domains intersect throughout the day and into the evening, with little regard to time or place. This dynamic has cemented a new reality: corporate-issued devices get used for personal activities and personal devices are used for work. LANDESK believes this reality is driving a need for a new approach to enterprise mobility management – one with solid security fundamentals to protect businesses and ultimate flexibility to provide the experience users now expect. Today’s solutions for enterprise mobility typically require either a separate application or workspace for work content or for IT to retain full control over the device. These legacy approaches do not give users all the functionality they are used to with their native apps, and offer a disconnected experience when accessing personal and work data. LetMobile recognized these traditional approaches to mobile IT security were out of sync with the way people live and work and that this disconnect is a source of frustration for users and IT alike. As a result of the acquisition, LANDESK is giving enterprise IT and security teams an innovative new architecture using a bidirectional secure mobile gateway that provides data protection for any mobile device. Further, this gateway approach to security has been singled out by Forrester Research in its report TechRadar™: Enterprise Mobile Security, Q4 2013, as being primed for rapid adoption by enterprise customers. LetMobile’s secure mobile gateway provides extensible security options including mobile Data Loss Prevention (DLP), geofencing, auditing and profiling to ensure compliance and data security. Email is the most used app for business and through LetMobile, LANDESK will provide customers with a powerful tool for mobile email protection. Using the secure mobile gateway, business email is provided through the native email app on any device, the same app that is used to access personal email with no need for a secure container. This gives users an unparalleled business email experience as it leverages the best mobile email apps that are offered by the leading device and mobile OS manufacturers. Security is enforced from outside the device on the gateway level, preventing sensitive corporate data and user credentials from being stored locally on a mobile device. This minimizes the risk of data loss in the event a device is lost, stolen, infested or otherwise compromised. Organizations are increasingly developing mobile and Web apps to advance business processes. 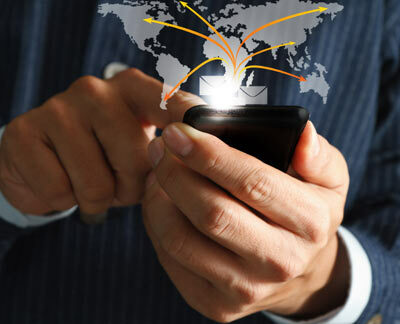 Enabling extended access to corporate networks and data from mobile devices raises significant data protection and compliance concerns for businesses. LANDESK now provides comprehensive security solutions to mobile enablement with the LetMobile secure gateway and a new app wrapping solution. LetMobile’s secure mobile gateway also extends to Web apps, enabling secure access to content in corporate networks without requiring mobile device VPN or special browsers. This approach further reinforces the ability for users to be productive while enabling IT to protect business information. LANDESK’s app wrapping solution adds a layer of security around both corporate and third-party applications ensuring a superior user experience. LANDESK is leveraging secure gateway technology to connect mobile apps to corporate resources and adding protections beyond what the apps provide including app VPN, data encryption, authentication, and data loss prevention. LANDESK plans to leverage the LetMobile team to establish and grow an innovation center in Israel that will continue to develop new and innovative technology to bring to market.